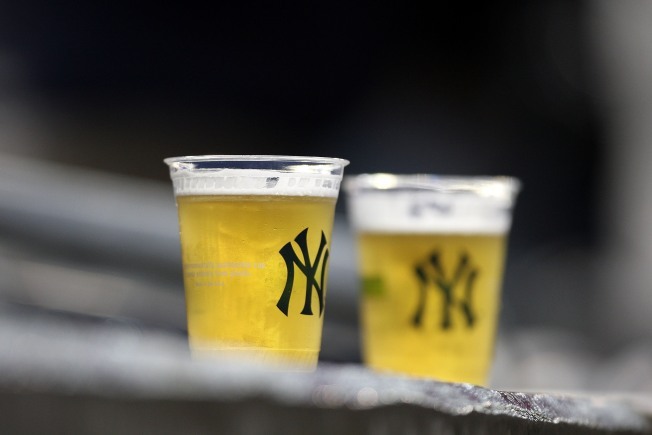 There is a silver lining to the Yankees heartbreaking loss in the ALCS Thursday night: cheap beer. And if you're a Yankees hater (aka "a Mets fan"), the whole cloud is gold, since you get the same deep discounts and while watching Derek Jeter pout and Nick Swisher hold his head in his hands. "We are gonna get drunk and watch the Yankees," screamed Evan Willis, 23, throwing back a Bronx Bomba Bahama Mama after chugging a cup of Coors Light. The News reported that Alibi announced it would dole out free shots if a Yankee homered. Alibi drinkers went shotless. At Fat Annie's Truck Stop in Midtown though, $5 beers flowed all night. And now that the 3-2 series in extended the specials continue into the weekend. We're rooting for this to go the distance so everyone wins.